West Nile Virus begins in different bird species. Those birds will then pass the virus on to the House Mosquito. The mosquito ingests the blood and becomes a vector for West Nile Virus. The mosquito will pass the virus on to other birds, horses, and humans. Humans will only get the virus if they are bitten by on infected mosquito. Of those people that are infected with West Nile Virus, 70%-80% won’t develop any symptoms. 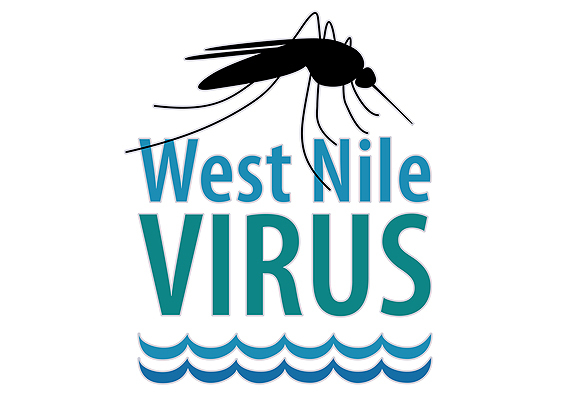 Those that do develop symptoms that are associated with West Nile Virus usually start showing them after 3-14 days. 1 out of 5 people will only get mild symptoms such as fever, headaches, body aches, joint pains, vomiting, diarrhea, rash, and fatigue. 1% are sever cases in which infected individuals experience high fevers, headaches, neck stiffness, disorientation, coma, seizures and paralysis. West Nile Virus is also known to cause encephalitis and meningitis. 10% of the severe cases result in death. Most people do not go to the doctor, and will recover on their own. Over-the-counter pain relievers help with the mild symptoms like fever and headaches. In severe cases, hospitalization can be necessary in which patients are given intravenous fluids, pain medication, and nursing care. There is no cure for West Nile Virus. How do I Prevent being infected with West Nile Virus? Preventing infection of West Nile Virus is relatively simply; all you have to do if follow the 4Ds. House Mosquitoes (those that transmit WNV) are most active during dawn and dusk. Avoid being outside during these times without protective measures. Look for repellants that list DEET as an active ingredient, and always wear your repellent when outdoors. Drain all water holding containers of standing water including: used tires, flower pots, and clotted rain gutters. These are potential breeding grounds for mosquitoes.